Sunday in Poland. In the small towns and villages of the countryside, Sunday means church. If it’s not something the locals want to do, it’s something they’re expected to do. As one person explains it to me, the communities are so small that it’s noticed if you don’t attend. This Sunday morning I’ve ended up in the small town of Chocholow, on the outskirts of Zakopane in south Poland. It’s approaching the time for the service and the town’s residents are making their way to join the congregation. Zakopane itself – maybe 15 minutes drive away – is a holiday resort. Its religion is snow and in winter it hosts international ski jump events and is a Mecca for ski enthusiasts. Like most ski towns, it has a thriving nightlife and an over-representation of in-demand hotels. It may not be geographically far from Chocholow but socially it is miles apart. 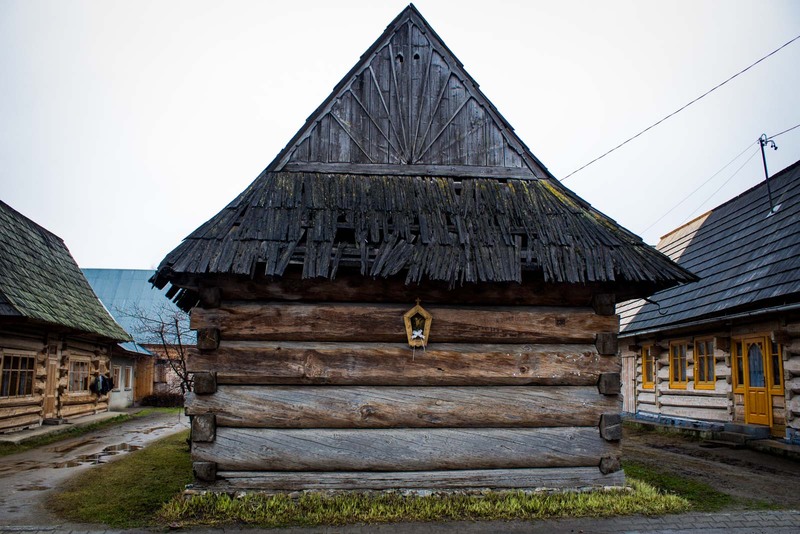 The houses in Chocholow are modest and all made of wood. There’s an eerie similarity to each of them and I wonder if any of the two thousands residents sometimes end up on the wrong doorstep. One particular house is pointed out to me because it’s made entirely of a single tree. A tree house, in the purest form. From each of these abodes, the residents leave at this time every Sunday morning to walk the short distance to the local church. Some men – and it’s only men – have gathered at the bar across the road from the church to have a few drinks before the service. From my experience in Poland, I assume it’s vodka and not communion wine. Perhaps it’s part of the social ritual or perhaps it’s to make the following hour more bearable. Either way, I hope for their sake they’re not the ones who are going to have to stand outside in the cold. The houses of worship in this part of the country are beautiful in their simplicity. They are numerous too. But they are not necessarily spacious. Clearly they were built for the community at the time, not the community of the future, and many of them can’t accommodate everyone these days. Driving through this area, I see a lot of churches with a spillover. The traditional work for these people is in the fields. They grow potatoes and ‘horse food’ (as it was described to me). Some of the houses double as shops and if you are looking for something in particular it seems you need to know where to go. For the few tourists who pass through, there’s also a sculptor’s store (with everything made of wood, of course!). There are certain expectations in a town like Chocholow. You work in the field, and you pay your duties to your religion. It stands in stark contrast to nearby Zakopane, which, for many Polish, is an escape from all those things. Great post! I was in Poland in January/February and loved it – but I didn’t really get to see any of rural Poland, other than zipping past it on the train. Those houses look like they’re straight from some kind of rugged fairytale – the kind where wolves gobble up people and huntsmen slit throats. Red Riding Hood, perhaps? I hadn’t thought about the fairytale thing – lucky, or I would have been terrified of being eaten by an oversized wolf wearing a bonnet! 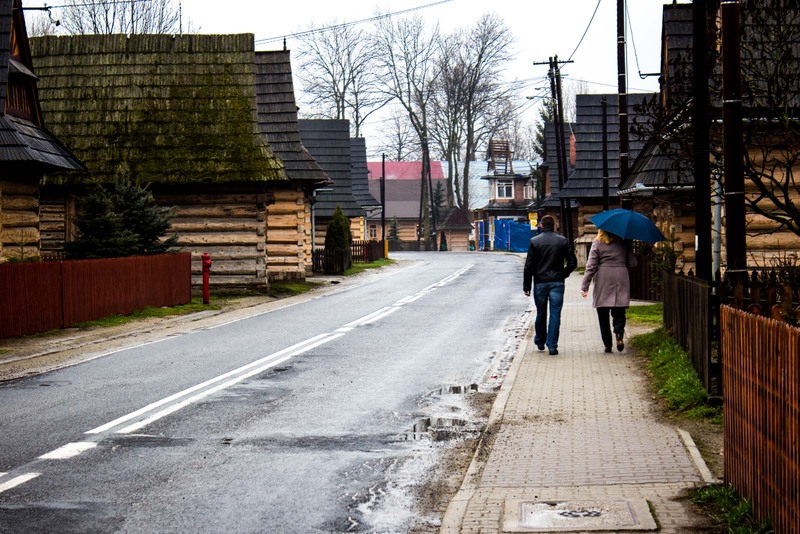 Rural Poland was really nice… although pretty simple and quiet. It would be worth checking out if you’re heading back there anytime. Love those houses! But I am one of those people that would definitely get mixed up and end up at the wrong one. I’m sure you’d never go to the wrong one… knock on wood. In Sardinia too Sunday means church for many, less than when I was a child though.. Lovely account of your day in this small Polish village. I suppose it’s quite common to have this kind of experience in many places around the world… just not where I’m from. I think it’s also much more obvious in smaller communities, though. Thanks for the wonderful post! I will be travelling to Poland in the coming holidays and would like to visit chocholow! 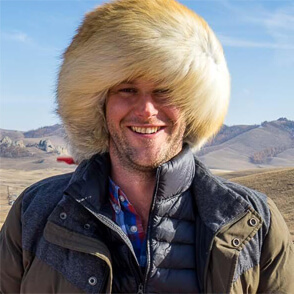 I would appreciate greatly if you could advice on the transportation from zakopane to chocholow and perhaps from chocholow to krakow, if possible. Thank you! Zakopane to Chocholow is about 20km so the best way to get there is to probably arrange something in Zakopane. There might be a public bus (I’m not sure but you could ask), otherwise I don’t think a taxi would be too expensive. It’s a tiny place so don’t expect a lot of easy transportation. To get to Krakow, you’ll want to go from Zakopane, not Chocholow. There are train and bus options which run almost every hour and take about two hours. Hello! It was a really interesting post. I have come here because I just found out where my Polish ancestors (I’m Brazilian) were born in Poland and it was in this small town! I have known Poland 2 months ago but unfortunately I didn’t know about this region and that part of my family was from there. Thank you! Hi Otavio, thanks so much for the comment. I’m sorry you didn’t get a chance to visit but I hope you enjoy the photos. Maybe you will get a chance to go back again one day. It is a beautiful part of the world! It was a really cute little place. I’m sorry I didn’t spend enough time in Poland so hopefully I’ll be able to get back there again soon. Always nice seeing people travelling in my own country 🙂 Sorry for the weather, at this time a year should be much better! I had some good days in Poland but that was a particular wet and cold morning. I loved your country and am hoping to get back and see a bit more of it later this year! I was in Zakapone in 1995 and will be returning this year 2016) and I can’t wait to see the changes. I’m very excited because I will be doing a “cooking from Krakow to Zakapone” in August. My maternal grandparents were from Poland, but unfortunately, I don’t know the region. Michael your grudge against religion is obvious and you misunderstand the Polish people’s love for going to Church. They don’t go to Church because they have to but because they love God and feel gratitude for everything He has done for them. He is the center of their universe. Don’t let your bias effect your journalism! Not everyone thinks like you do. Good Article! And I really like these kinds of house. It’s looking good to explore. I have one of my friends from Poland but never get a chance to visit Poland. Even my friend shown few picture of these rugged fairytale houses. I am in love with these streets and houses and craving to visit soon.